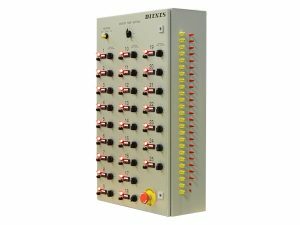 The Dienes Heat Cut manual control system is designed to stand alone within your converting line. The system allows the slitter operator to control the temperature of individual Hot Knife Holders and maintains the temperature while the winder accelerates and decelerates. The net result is consistent slit edge quality and increased knife life. When your slitting operation requirements demand cutting know-how, high speed, and quality silt edges – call Dienes.